SamMobile is always ahead of any Samsung related news and update and they are the first to leak Samsung firmwares for different range of Samsung smartphones. 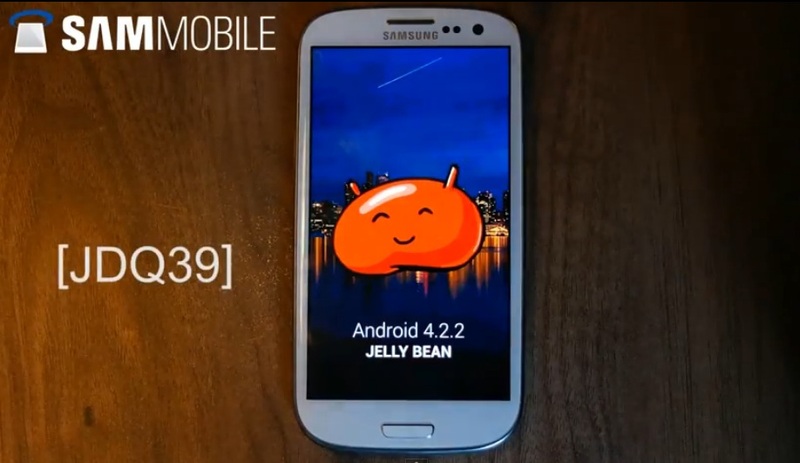 They just released a firmware leak Android 4.2.2 Jelly Bean for Galaxy S III test firmware version I9300XXUFME3. Samsung has been working very quietly on updating the Android version for Galaxy S III. This update is not official yet, Samsung is still working on it. The official Android 4.2.2 firmware for Galaxy S III might come in June. Though the firmware is still under testing you can use it as a daily driver and feel the improvement and power in your hand. The best thing will be if Samsung puts all the goodies from Samsung Galaxy S4. Don’t be upset Samsung is actually on it, read through the page and you will learn the new modifications and improvements. I can tell the Samsung Galaxy S III will almost look like Samsung Galaxy S4 with this update and the future updates. Samsung Galaxy S III was released in May 2012 with Android 4.0.4 Ice Cream Sandwich. Featuring an 4.8″ (inch) Super AMOLED capacitive touchscreen with Corning Gorilla Glass 2. Powered by Exynos 4412 1.4 GHz Quad-core processor and Mali-400MP GPU and 1 GB RAM. Galaxy S III comes with a choice of 16/32/64 GB internal storage choice and up to 64 GB more expandable using microSD. The backside is featuring a 8 MP camera with 1080p HD video record capability. 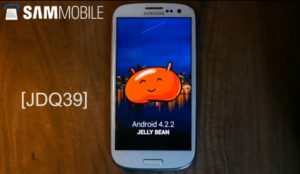 If you want to get the test the Android 4.2.2 Jelly Bean for Galaxy S III firmware visit SamMobile’s website and download it from there. All the instructions for installing and running Android 4.2.2 Jelly Bean for Galaxy S III is there. Please note: I’m not responsible if anything goes wrong with your phone but you are. Make sure you have a backup for your current ROM so you can put everything back into your phone if anything goes wrong or you change your mind.